Chicago Public Schools students could be in for a shorter school year. The district says it may have to trim the school year by 2.5 weeks, from June 20 to June 1, if the Circuit Court of Cook County can’t intervene and have the state help fill the district’s $129 million budget hole. CPS on Monday filed a motion in the Chancery Division seeking a preliminary injunction to bring the cash-strapped district immediate relief. Last week, Chicago Board of Education members passed their second amended budget of the school year to reflect a budget freeze designed to save the district $104 million. But after protest from the Latino Advisory Council over those cuts disproportionately affecting Latino schools, the district restored $15 million, thus widening the budget gap to $129 million. The district has been at odds with the state over $215 million. A 2016 agreement between the city, state lawmakers and Gov. Bruce Rauner would have meant the district would receive that much money from the state toward this year’s budget. Rauner vetoed that legislation, saying it was contingent on broader pension reform legislation, which hasn’t happened yet. Earlier this month, after enacting cuts, the district filed suit against the state, claiming its funding formula discriminates against minority students. Document: Read the motion for preliminary injunction In court documents, the district notes that it will still have to access capital markets to borrow hundreds of millions of dollars to make its $721 million pension payment on June 30. CPS claims the next round of cuts is likely to require the district to cancel summer schools for elementary and middle school students. Feb. 27: Former Chicago Public Schools CEO Jesse Ruiz on how the district lost its “moral high ground” because of school budget cuts. 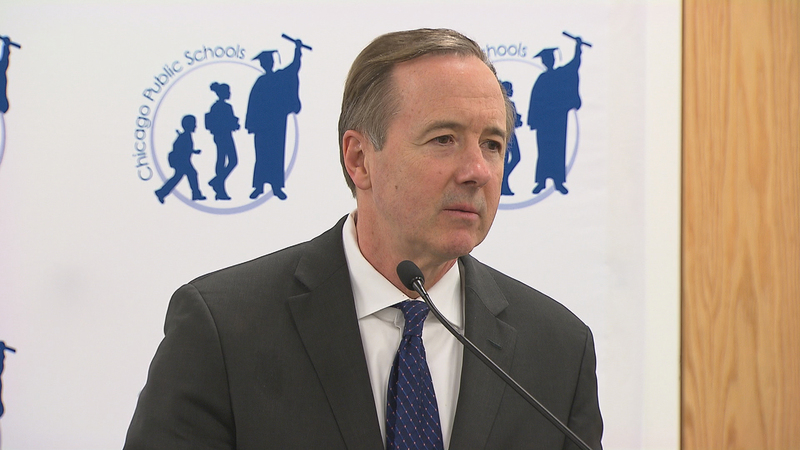 Feb. 24: Chicago Public Schools announced Friday it will return $15 million in frozen discretionary funds to high-poverty district schools, citing a “disproportionate impact” that freeze had on predominantly African-American and Hispanic schools. Feb. 22: Nearly all members of a Chicago Public School advisory council turned in resignation letters to the city's Board of Education on Wednesday morning, citing the disproportionate effect of district budget cuts on Latino schools.